Pressure sensors are generally used to measure pressure of gas or liquids. Usually a pressure sensor acts as a transducer. It generates the pressure in analog electrical or digital signal. 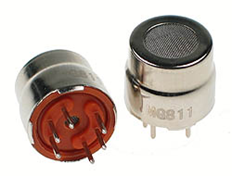 There is also a category of pressure sensors that are classified in terms of pressure, some of them are absolute pressure sensor, gauge pressure sensor. There is also a type of pressure sensor that lets you know when your car is low on gas or oil. 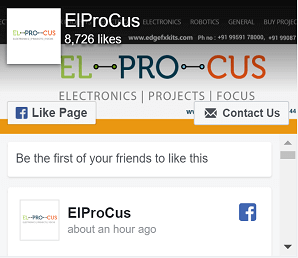 Pressure sensors are typical transducers which sense the pressure and convert it to electrical signal parameters. Typical examples of pressure sensors are strain gauges, capacitive pressure sensors and piezoelectric pressure sensors. The strain gauges work on the principle of change in resistance with application of pressure where as the piezoelectric pressure sensors work on the principle of change in voltage across the device on application of pressure. A PIC Microcontroller which gets input from the pressure sensor and accordingly gives the output to the 4 seven segment display panel. A 6 Pin Pressure Sensor IC MPX4115 which is a silicon pressure sensor and provides high analog output signal. 4 seven segment displays getting input from PIC microcontroller and driven by each transistor. A crystal arrangement to provide clock input to the Microcontroller. The above video describes how the pressure sensor is interfaced with microcontroller to display the value of pressure in seven segment display. The pressure sensor consists of 6 pins and connected to 5V supply. Pin 3 is connected to power supply, pin 2 is grounded and pin 1 is connected to RA0/AN0 pin of microcontroller as an analog input. For displaying the values here we are used 4 digit seven segment display which is driven by common anode configuration of four transistors. Here 28.50 PSI pressure sensor is connected to the microcontroller so when we can change the sensor value to low or high, microcontroller detects these values and displays in the seven segment display. 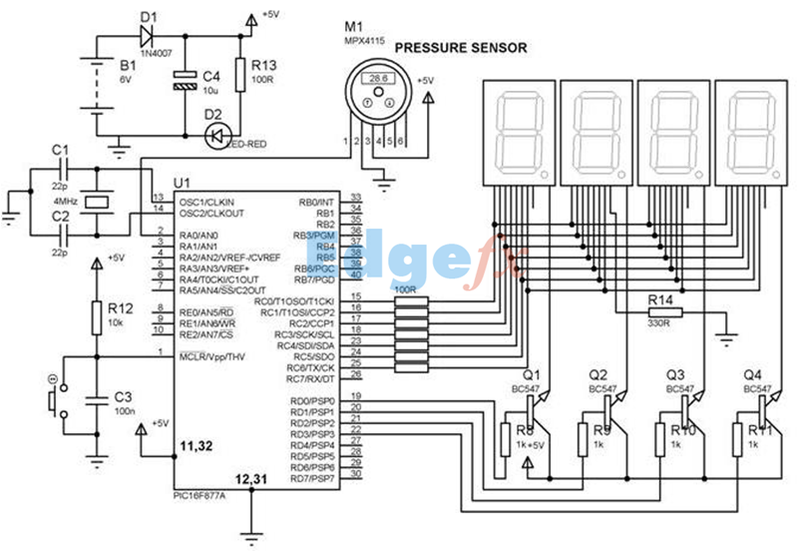 If this pressure value crosses its threshold levels microcontroller gives alarm to the user. 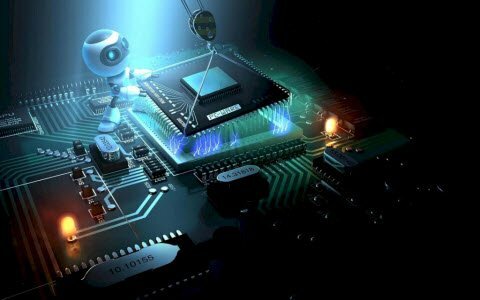 By this way one can interface the any type of sensor to the microcontroller for monitor, process and display the real time values. There many applications for pressure sensor like pressure sensing, altitude sensing, flow sensing, line or depth sensing. It is used in real-time also, car alarms, and traffic cameras use pressure sensors to know whether someone is speeding. 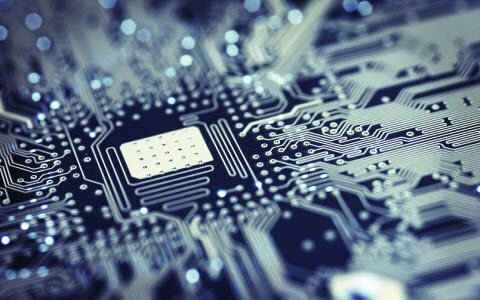 Pressure sensors are also used in touch screen displays to determine the point of application of pressure and give appropriate directions to the processor. They are also used in digital blood pressure monitors and ventilators. Industrial application of pressure sensors involves monitoring gases and their partial pressure. They are also used in aero planes to provide balance between the atmospheric pressure and the control system. They are also used to determine the depth of oceans in case of marine operations to determine suitable operating conditions for the electronic systems. Piezoelectric transducer is a measuring device that converts electrical pulses into mechanical vibrations and vice versa. 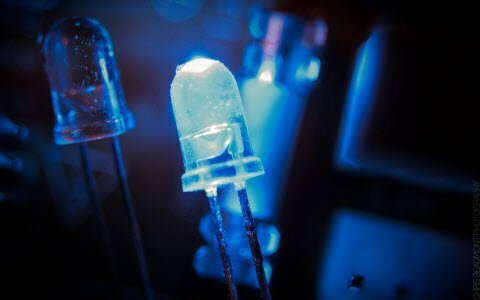 Piezoelectric quartz crystal and piezoelectric effect are the two things needed to understand about the piezoelectric transducers. A quartz crystal is a piezoelectric material. It can generate the voltage when some mechanical stress is applied upon the crystal. The piezoelectric crystal bends in different directions at different values of frequencies. This is called mode of vibration. For achieving different vibration modes, the crystal can be made in different shapes. Piezoelectric effect is the generation of electric charge in certain crystals and ceramics due to applied mechanical stress on them. 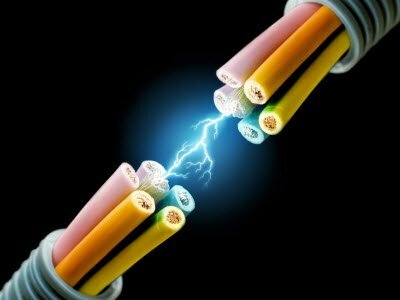 The rate of generation of electric charge is proportional to the force applied on it. The piezoelectric effect works in reverse order also such that when voltage is applied to piezoelectric material it can generate some mechanical energy. The piezoelectric transducers can be used in micro phones because of their high sensitivity where they are converting sound pressure into voltage. They can be used in accelerometers, motion detectors, and can be used as ultrasound detectors and generators. Ultrasound propagation is not effected in material by its transparency. The piezoelectric transducers can be used both as actuators and sensors. Sensor turns mechanical force into electrical voltage pulses and actuator converts voltage pulses into mechanical vibrations. Piezoelectric sensors can detect imbalances of rotating machine parts. They can be used in ultrasonic level measurement and measurement of flow rate applications. Apart from the vibrations for detecting imbalances, they can be used for measuring ultrasonic levels and flow rates. A humidity sensor senses relative humidity. This implies that it measures both air temperature and moisture. Humidity sensing is essential in control systems in industries and well as in domestic. These are designed for high volume, cost sensitive applications for example office automation, automotive air control, home appliances, and industrial process control systems and also in applications where humidity compensation is required. Humidity sensors are generally of the capacitive or resistive type. 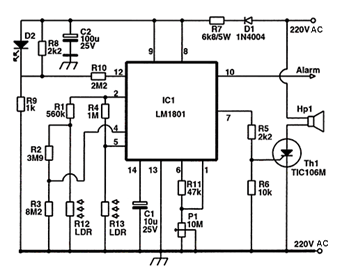 The response of Capacitor sensors are more linear compared to the resistive sensors. Capacitive sensors are additionally usable over the entire range of 0 to 100 percent relative humidity (RH), where the resistive element is normally limited to about 20 to 90 percent relative humidity (RH). Here we are going to discuss about the capacitive sensor. A capacitive humidity sensor changes its capacitance based on the RH of the surrounding air. The dielectric constant of the sensor changes with humidity level in a way that can be measured. The capacitance increases with relative humidity. It is used in circuits with voltage or frequency output. Lead free component. Components free from lead. Instant change to desaturate from saturate phase. Power requirements: 5 to 10 VDC. Humidity sensors have wide range of applications such as industrial and domestic applications, medical applications and are employed to provide an indication of the moisture levels in the environment. The measuring of humidity is difficult. Generally the humidity in air is measured as the fraction of the maximum amount of water that air can absorbed at a certain temperature. At atmospheric conditions and a given temperature this fraction can vary between 0 and 100%. This relative humidity is only valid at a certain temperature and atmospheric pressure. Therefore it is important that a humidity sensor should not be affected by either temperature or pressure. Current passing through the thermistor causes it to heat, thus increasing its temperature. Heat dissipation is more in the sealed thermistor compared to the exposed thermistor due to the difference in the thermal conductivity of water vapor and dry nitrogen. The difference in resistance of the thermistors is proportional to the absolute humidity. Gas sensors are a basic component in many security systems and modern methodology, providing key quality control feedback to the system. And these are available in wide specifications depending on the sensitivity levels, type of gas to be sensed, physical measurements and various different elements. Gas sensors are generally battery operated. They transmit warnings via a series of audible and visible signals such as alarms and flashing lights, when hazardous levels of gas vapors are identified. Another gas is used as a reference point by the sensor as it measures gas concentration. The sensor module comprises of a steel exoskeleton under which a sensing component is housed. 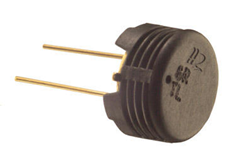 This sensing component is subjected to current through connecting leads. This current is known as heating current through it; the gases coming close to the sensing component get ionized and are absorbed by the sensing component. This changes the resistance of the sensing component which alters the value of the current going out of it. Stable performance, long life, low cost. High sensitivity to combustible gas in wide range. Gas detectors can be used to detect burnable, flammable and poisonous gases, and oxygen consumption. This type of device is used widely in industry and can be found in a variety of areas example on oil rigs, to screen produce forms and emerging technologies such as photovoltaic. They might additionally be utilized within firefighting. The gas sensor is suitable for the detection of combustible gases, for example hydrogen, methane or propane / butane (LPG). When combustible or reducing gases come in contact with the measuring element, they are subjected to catalytic combustion, which causes a rise in temperature which causes a change in resistance of the element. 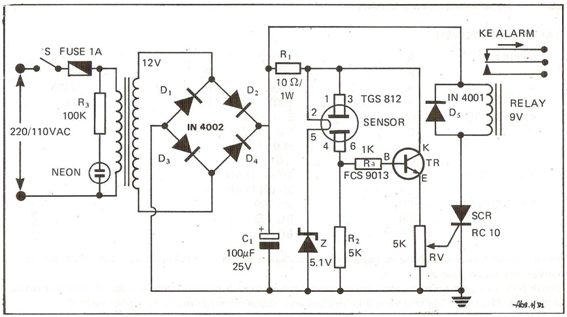 The change in the sensor resistance is obtained as the change of the output voltage across the load resistor (RL) in series with the sensor resistance (RS). The concentration of the gas under test is determined by change in conductivity when the sensor surface absorbs the reducing gases. The constant 5V output of the data acquisition board is available for the heater of the sensor (VH) and for the detecting circuit (VC). 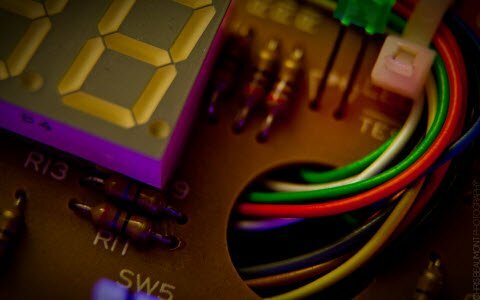 Now you have got an idea about the types of sensor and its applications if you have any queries on this topic or on the electrical and electronic projects leave the comments below.